SLR Magic has expanded its E-Mount lens lineup, added a Hyperprime 23mm f/1.7 wide-angle lens to its array. 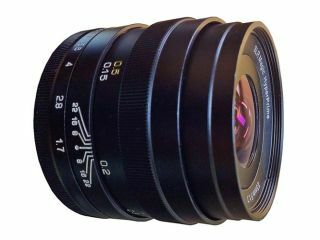 Three different focal length lenses are now available from SLR Magic, which also manufactures a 50mm f/0.95 lens. The new 23mm lens is the world's fastest interchangeable camera lens with APS-C coverage in this focal length. In 35mm terms, the field of view of the HyperPrime lens is 35mm, while it also has a minimum focus distance of 0.15m. A fast maximum aperture of f/1.7 is used, and should be useful for low-light photography. According to SLR Magic, which sells its lenses via eBay, "We place our highest priority in the development of all HyperPrime lenses to fulfil the demands of professional cinematographers and photographers. The company also claims that the build of the lens is solid and reliable. Comprising of five Tantalum glass elements, the lens is compatible with all E-mount NEX cameras and comprises of 8 elements in 7 groups. It has 12 circular aperture blades and has a minimum aperture of f/22.